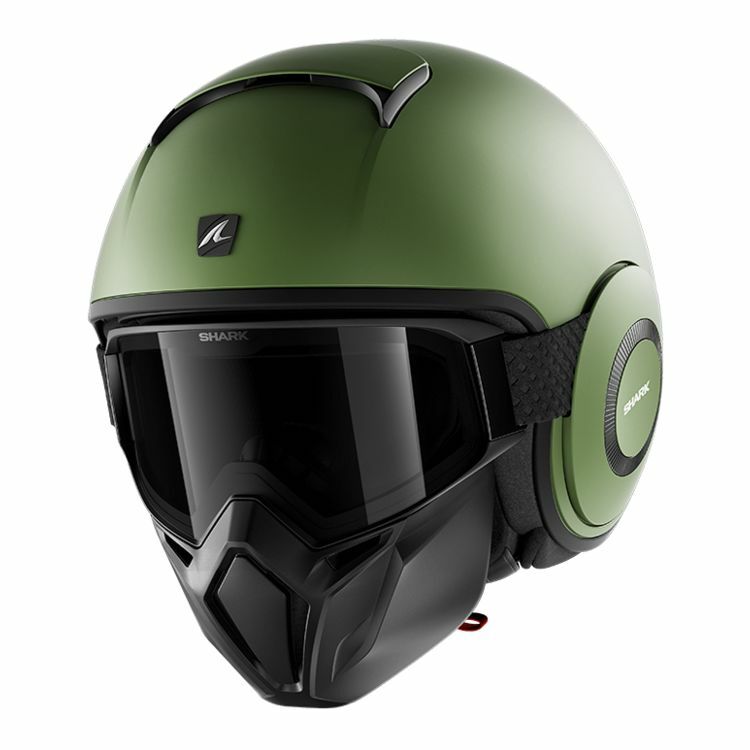 The Shark Street-Drak Helmet is here for those of us who didn’t quite make it as a fighter pilot. Formerly known as the Shark Raw, the Street Drak features an injected thermoplastic shell and a comfortable sweat-wicking liner. A plastic face mouth guard and quick release goggle system bring it all together for a truly unique look. While the plastic face mask looks awesome, it is purely aesthetic and is not meant to provide impact protection.